Wide tee view of the par 5, 3rd hole of the Bandon Trails Course, of the Bandon Dunes Golf Resort, Bandon, Oregon. A waste area just off the tee extends farther in the distance than guessed from the tee and can catch a few not-so-well hit tee shots. There are strategically placed fairway bunkers that can catch tee, second shots and approach shots. There is a small but dangerous bunker at the front of the green and a bunker and deep depression area behind the green. 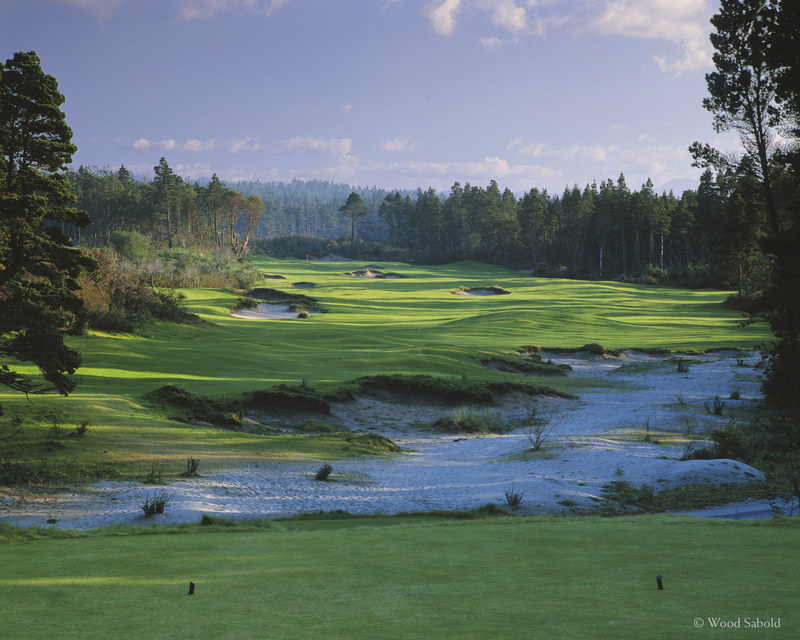 Bandon Trails is the third course of the acclaimed Bandon Dunes Golf Resort. The course opened in 2005. Architect, Bill Coore and Ben Crenshaw.